The Armenian Apostolic Church of the Western Diocese and the Stewardship Committee will be honoring Dr. Vahram and Mrs. Polina Biricik, Leading Stewards of Faith and Benevolence, on Sunday, September 16, 2018. This well-deserved tribute is in recognition of their dedication and transformative influences in fulfilling the objectives of clergy preparation at the Western Diocese. This joyous celebration will begin at 10:00 a.m. at St. Leon Cathedral, the Feast of the Exaltation of the Holy Cross, Divine Liturgy, under the auspices of His Eminence Archbishop Hovnan Derderian, Primate. The church services will be followed by an Appreciation Benefit Luncheon in the Nazareth and Sima Kalaydjian Hall, 3325 No. Glenoaks Boulevard, Burbank, Ca. His Eminence Archbishop Hovnan Derderian stated that the mission of the Stewardship Program is to educate and train young clergy candidates who will, in time, become spiritual leaders of our communities and minister to the next generation of Armenians – our children and grandchildren. “We thank God for Dr. Vahram and Polina Biricik, beloved faithful and caring individuals, who have understood the importance of this God-pleasing mission and have stood by it with their loyal support throughout the years,” stated His Eminence. Derik Ghookasian, Organizing Committee Chairman, stated that Dr. Vahram Biricik has been an invaluable asset to the Stewardship Program since 2003 when it was revitalized for maximum efficiency. 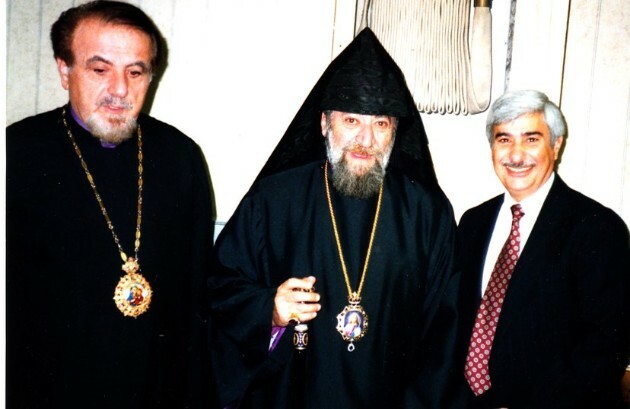 Dr. Biricik’s concern about the future of the Armenian Church and the salvation of our people in Christ resuscitated and redefined the Stewardship mission, and clergy preparation became a top priority. Dr. Biricik and his wife Polina, spared no detail in their commitment to lay the groundwork for success in clergy education and preparation as qualified spiritual leaders. Dr. Biricik truly epitomizes his Armenian heritage and culture, with his faith and a background steeped in the love of his church. 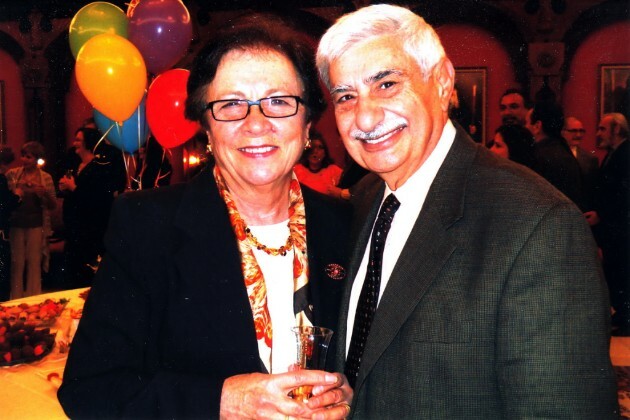 He was a founding Parish Council member and later Parish Council Chairman of St. Mary Armenian Church in Orange County. He has devoted increasing amounts of time to the Western Diocese, serving four terms on the Diocesan Council; organizing pontifical Divine Liturgy celebrations of the Catholicoi; and serving as interim Parish Council Chairman of St. John Garabed Church in San Diego. Dr. Biricik has also had a distinguished career in the aerospace industry following his graduation from Lehigh University in Pennsylvania with a Ph.D. in Applied Mechanics and Mechanical Engineering. In 1971 he accepted a position as a member of the Senior Technical Staff at Northrop Corporation. While he was at Northrop he worked on sensitive and innovative military applications, such as High Energy Lasers and the B2 Stealth Bomber. At the same time he received his MBA in Product Development from the University of Southern California. His hard work at Northrop was rewarded by a series of promotions, culminating with his appointment in the early ‘90s as Director of Technology for the Electronics and Systems Integrated Division, a division with over two billion in sales and responsible for the development of a number of military applications, including the development of the E2-C Hawkeye aircraft for the Navy and Joint Stars aircraft for the U.S. Air Force. At the same time, Dr. Biricik’s wife Polina, received her nursing degree and began working in the neonatal unit of Torrance Memorial Hospital. The Divine Liturgy and Appreciation Benefit Luncheon will offer both the Armenian and American community the opportunity to express their love and appreciation for Dr. Vahram Biricik and his wife Polina, for their unwavering and exemplary dedication to fulfill the stewardship promise of unselfishly giving their time, talents and treasures for the growth, progress and development of the Armenian Apostolic Holy Church. Donations made on this occasion, as well as the net proceeds, will go towards fulfilling the objectives and mission of the Stewardship Program of the Western Diocese. A booklet is being prepared to commemorate this memorable occasion. Donations for the luncheon are $125.00. For sponsorships, reservations and further information, contact the Western Diocese (818) 558-7474.